Uttarakhand Postal Department, Dehradun has released the official notification regarding the recruitment of Gramin Dak Sevak on 744 posts. The last date of the online application is 20th June 2018. Here are the complete details of the Recruitment. Gramin Dak Sevak (GDS) 744 The candidate should pass 10th standard from approved state boards by the respective State Govt./ Central Govt. Nil for all females, SC/ST and PH Candidates. All the candidates will be selected by the on the basis of generated merit list by the department. There is no weightage for higher educational qualification. All the interested candidates may apply online through the official website of the department www.appost.in Candidates can download the official notification by selecting the state wise a job through the above given link. The last date of the submitting the application form is 20th June 2018. So you have to submit on or before it. 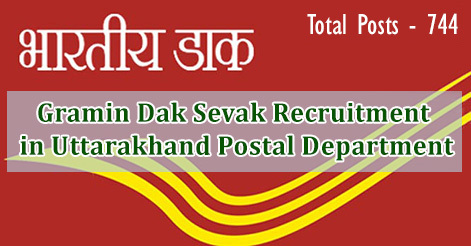 Help us to improve this article/job posting "744 Gramin Dak Sevak Recruitment in Uttarakhand Postal Department". We would be glad if you can comment below and provide your valuable suggestions and feedback. If this page have any wrong information/list or out of context content, then you can report us as well. Salary 50000 rupes per manth… Apko aana h aur tea pike aaram se chle jana h..
Sir mera pura form bhara Gya hai lekin last me print application ke time meri Na to photo aa rahi hai or Na hi signature dikha raha hai page par baki sab Jo bhara hai vo dikha rha hai . Usme kya dollar hai Jo nahi dikha raha? Sir I have pass from icse meine b forum bhar diya .??? ?its will acept or not? 62% category OBC any chance ??? starting salery of gramin dak sevak recruitment in uttarakhand postal department ..
What could be expected cutoff percentage? How to apply online?? because the site can’t proprerly work? SMS k through result aayega… Approx 15-20 m aa jayega result..
Koi problem to nai hogi na selection process m? sir postoffice all india based job hai per link main andhra pradesh circle se kyun form bharwa rahe hain? sir GDS ka exam bhi hoga kya???? Nope.. Selection sirf 10 class k result k merit base pe hoga..
What is the minimumvpercentage is needed in 10th for filling this for? No.. u dnt need any computer certificate.. Females k liye sirf bpm post thik hai… baki post postman jaise hai jismain mail logo k ghar ghar pahuchani hai..
Everybody share ur percentage marks..
Tumhara to ho gya selection Phr. .
Mera registration id no R8B3C5346EEC1 HAI please bta dijye ki ye form complete ho gya. Please sir kyuki sir mere print application me meri picture or signature nhi aa rhe hai. All candidate plz mention your percentage in comment box. All candidate plz share your percentage…. 10 ki % KE Base ke hoga..
Sir GDS ki exam date kya hai? Sir plz tell me? Thanks! Written exam nahi hai gds ki post main.. 10th ki percentage k basis pe selection hoga..
Sir 10th mai agar 51% marks hai to kya hum exam mai nahi bait paynage Kyaa? Jubki Mujhye 5 bhasha ki typing ati hai : Hindi, English, Sanskrit, Nepali aur Mathematical typing in Math type software aur Graphic Design bhi kerta hoon? 4 years exp. Sir confirm kaise hoga ki humara number aya hai ya nahi?? Everybody who hv applied for gds post.. share ur 10th percentage..
Good chances… depends on ur 5 preferences.. which places u hv given in ur preference??? 79% uk board general any chance?? sir 62% marks hai mai OBC se hu ant chance??? 62 % haimai OBC se hu kpoi chance hai???? R U from Postal dept??? Have any idea when the result is declared after extension date. Uttrakhand GDS ka result kab aayega???? 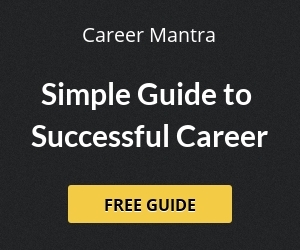 Phir log puchhte hai palayan kyu ho raha hai…..Ek to rojgar milta nahi, koi exam diya bhi ho , ek to exam cancel ho jata hai ya phir result aane me sabse late….Sayad usme bhi golmal karne me lage rahte hai…….ye sab berojgar bhaiyo ka majak nahi hai to kya hai…. sir mere 7.6 cgpa hai cbse board sai koi chance hai …. Lagbhag 400 se 500 varsh lag jaaenge sarkar ko ya phir sambandhit vibhagon ko apna apna dayitva nibhane main……moorkh banaake vote leten hain aur janta de bhi deti hai………Maine to is website ki sssc sambandhit vigyapti dekhni aur bharni band kar di hai…..aap sabhi koshisen karte rahiye subhkamna hain sabhi ko…….sochne ki baat ye hai ki akhbaaron main jahan dekho to wo log hartal karne ki, sadkon pe utarke virodh karne ki baat karten hain jinke pass naukri hai wo bhi sarkari jese ki bank karmchari, sikhshakgan, chikitsak parnatu berozgaar yuva nahi dikhte…….kya inko phir se btana hoga ki ” bahro ko sunnne ke liye dhamake ki jaroorat hoti hai” sabhi jaante honge ye kiske shabd honge..main nahi kahta ki aaj yuva hinsa kare…..par isse pehle yuva apna aapa khokar sadak pe utre aur virodh kare sarkar kuch kare………jinko sarkar banane ka mauka diya hai wo ye na soche ki hamesha rahenge janta yuva sakshsm hai sabak sikhane main …….sabhi ko shubkaamna!!!!! I have 67% in 10th ,is there any chance of selection or not?? What is the last date to submit fee.?? What is the last date to submit fee ? candidates from other states are also eligible or not?? Sir uttrakhand gds ka result kb h . 8859743362 plz wts me. I GOT 51.5% MARKS IN HIGH SCHOOL. PLEASE TELL ME ANY CHANCE FOR ME.